Big discovery! NASA’s Spitzer Space Telescope has revealed 7 Earth-sized planets orbiting a tiny star only 40 light-years away. Three of them are firmly in the habitable zone. At a news conference in Washington D.C. today (February 22, 2017), NASA announced that its Spitzer Space Telescope has observed the first known system of seven Earth-size planets around a single star. Three of these planets are firmly located in what’s called the habitable zone, the area around the parent star where a rocky planet is most likely to have liquid water – key to life as we know it. The discovery sets a new record for greatest number of known planets in a star’s habitable zone. After all, our solar system has only two planets in the habitable zone: Earth and Mars. This exoplanet system – called TRAPPIST-1 – has three. Because they are located outside of our solar system, these planets are scientifically known as exoplanets. 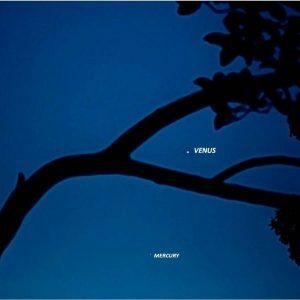 The planets also are very close to each other. 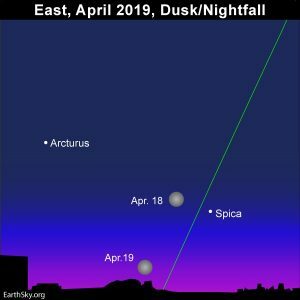 If a person was standing on one of the planet’s surface, they could gaze up and potentially see geological features or clouds of neighboring worlds, which would sometimes appear larger than the moon in Earth’s sky. The researchers say that the planets might also be tidally locked to the TRAPPIST-1 star. That means that the same side of the planet is always facing the star, therefore each side is either in perpetual day or night. If that’s true, the planets could have weather patterns totally unlike those on Earth, such as strong winds blowing from the day side to the night side, and extreme temperature changes. 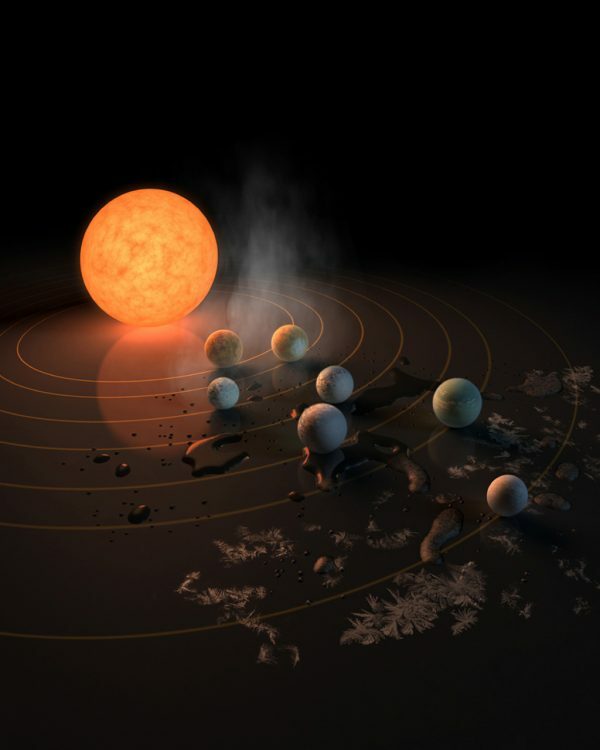 According to the study – published today in the journal Nature – all of the TRAPPIST-1 planets are likely to be rocky. Further observations will hopefully reveal whether any have liquid water on their surfaces. The mass of the seventh and farthest exoplanet hasn’t yet been estimated. Scientists believe it could be an icy, “snowball-like” world. The seven wonders of TRAPPIST-1 are the first Earth-size planets that have been found orbiting this kind of star. It is also the best target yet for studying the atmospheres of potentially habitable, Earth-size worlds. 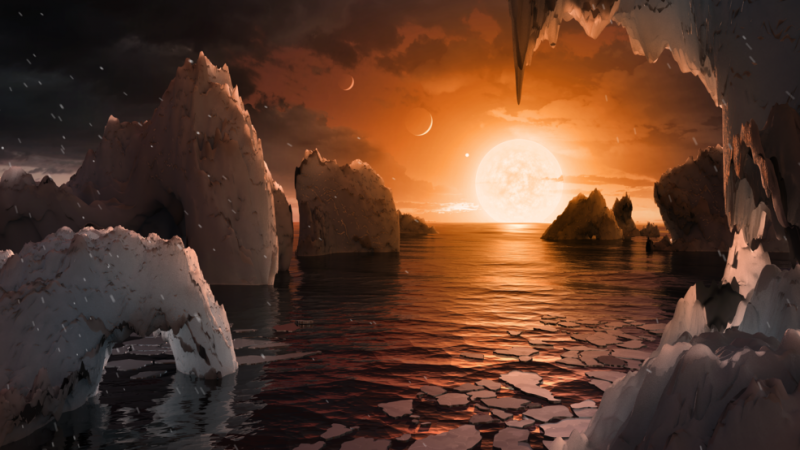 Following up on the Spitzer discovery, NASA’s Hubble Space Telescope has initiated the screening of four of the planets, including the three inside the habitable zone. This 360-degree panorama depicts the surface of a newly detected planet, TRAPPIST 1-d, part of a seven planet system some 40 light years away. Explore this artist’s rendering of an alien world by moving the view using your mouse or your mobile device. This discovery could be a significant piece in the puzzle of finding habitable environments, places that are conducive to life. 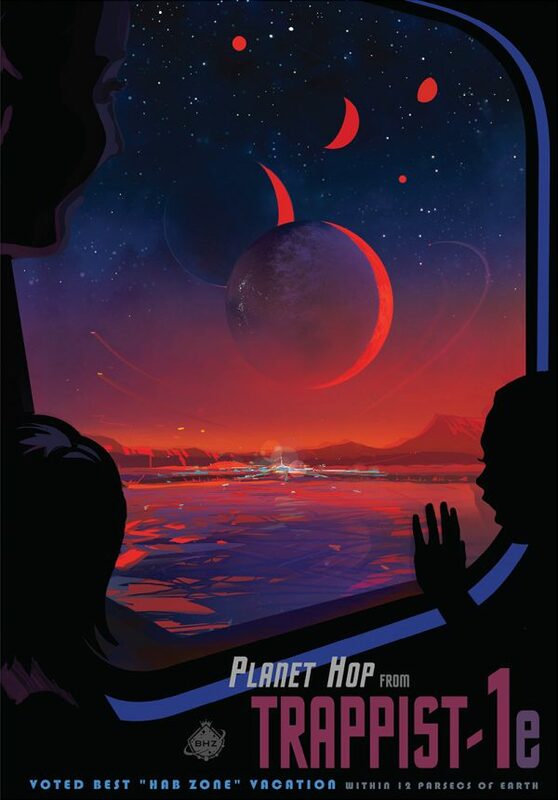 Answering the question ‘are we alone’ is a top science priority and finding so many planets like these for the first time in the habitable zone is a remarkable step forward toward that goal. 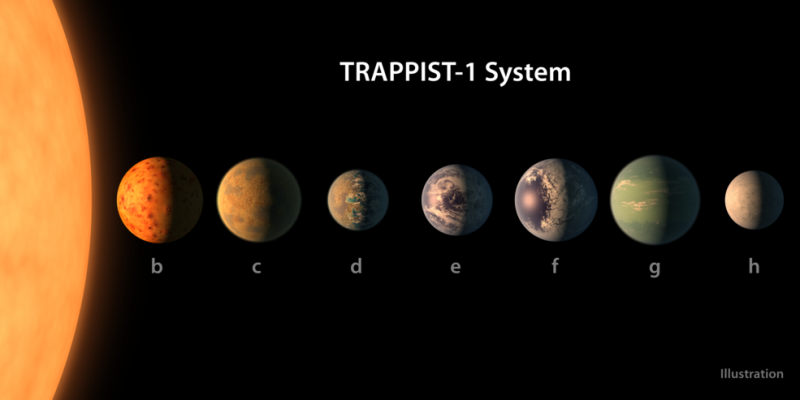 Bottom line: NASA’s Spitzer Space Telescope has observed 7 Earth-sized planets orbiting a tiny star called TRAPPIST-1. Three of them are firmly in the habitable zone.